Synchronicity celebrates the holidays with Mr. Popper’s Penguins in the Family Series, a delightful musical for all ages based on the classic 1938 children’s book by Richard and Florence Atwater. Mr. Popper, a humble house painter, gets a cool surprise when Antarctic explorer Admiral Drake ships him a penguin! One penguin expands into a family of penguins, and suddenly the Poppers have a lot of extra mouths to feed on a tight household budget. 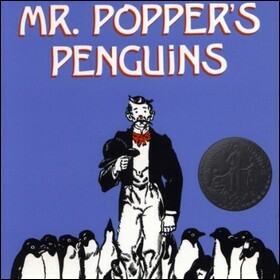 So, Mr. Popper trains the penguins to perform and takes their show on the road, leading to mischief, hilarity, and dreams come true. Each Friday is PJs & Play – where children wear pajamas, have milk and cookies, and watch the show.